There were plenty of winners and losers this week, with a leading automaker failing to keep up with its peers and the top dog in online retail breaking into an unusual product line. Here's a rundown of the week's smartest moves and biggest blunders. It seems as if there's nothing that Amazon.com won't try. 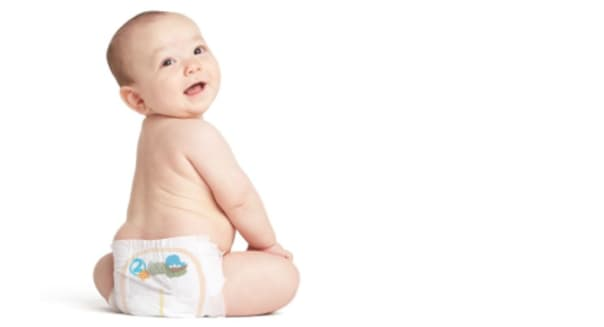 The leading online retailer is rolling out its own line of diapers and baby wipes. The Amazon Elements line will offer aggressively priced disposable diapers starting at $7.99 for a 40-count package. In a neat wrinkle, Amazon is making the diapers and wipes available only to Amazon Prime customers. It's not as if Amazon needs another reason to get folks to sign up for the loyalty program that delivers two-day shipping and access to a growing arsenal of digital media goodies for $99 a year, but it's still a smart thing to do. Barnes & Noble's (BKS) fledgling e-book platform has been fading in recent years, and that became even more apparent on Thursday when Microsoft (MSFT) agreed to sell its 17 percent stake in Nook Media back to Barnes & Noble for a sliver of the $300 million that it paid for the investment two years ago. It's been five years since Barnes & Noble thought it could take on the Kindle and iPad with its Nook e-reader, but it underestimated the cutthroat ways of Amazon.com, which kept its Kindle competitively priced. The move does pave the way for Barnes & Noble to spin off Nook Media, but seeing Microsoft willing to take roughly $125 million for its stake doesn't imply that it will be very valuable. It's been a busy week for the deal makers at Keurig Green Mountain. The company behind the leading single-cup brewing platform kicked things off on Monday by announcing a licensing deal with Community Coffee, the largest family-owned and -operated retail coffee brand in the country, to put out Community brand K-Cups. A few days later it announced the acquisition of the Laughing Man Coffee and Tea brand, paving the way for its gourmet coffee and teas to roll out in K-Cup portion packs by early next year. It then turned heads after Thursday's market close by snapping up the 85 percent of Bevyz that it didn't already own for roughly $220 million. Bevyz has developed a single-portion multi-drink system. It may seem similar to the Keurig Cold machine that Keurig Green Mountain plans to roll out in the fall of next year, but at the very least it will remove one more potential competitor as it arms Keurig Green Mountain with Bevyz patents. Sales are going the wrong way at Ford. The automaker giant announced on Tuesday that stateside sales slipped 1.8 percent in November relative to a year earlier. A slump in its flagship F-150 line as it transitions to new models held back sales. Don't go thinking that all of the car manufacturers are driving in reverse. Most automakers actually stepped on the accelerator. Industry sales rose 4.6 percent to 1.3 million in November according to sales tracker Autodata, making this the best November in more than a decade. Shares of Tilly's soared 20 percent on Thursday after the company posted better-than-expected quarterly results. It may not seem like a great quarter for the mall retailer of West Coast-inspired apparel for extreme sports enthusiasts. Comparable-store sales did decline slightly during the period, and profitability fell even harder. However, the 25 cents a share profit that Tilly's did record was well ahead of the 17 cents a share that analysts were expecting. It's not fair to call this a turnaround, but at least it's less of a step back than what the market was braced for heading into the critical holiday shopping season. Motley Fool contributor Rick Munarriz owns shares of Ford and Keurig Green Mountain. The Motley Fool recommends Amazon.com, Ford and Keurig Green Mountain. The Motley Fool owns shares of Amazon.com, Barnes & Noble, Ford and Microsoft. Try any of our Foolish newsletter services free for 30 days. Want to make 2015 a winning investment year? Check out The Motley Fool'sone great stock to buy for 2015 and beyond.